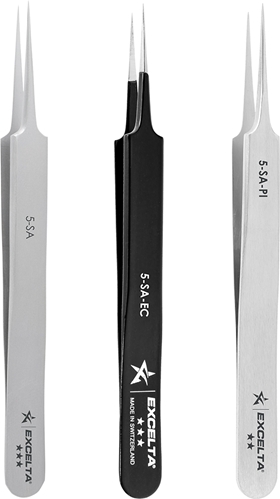 The Style 5 straight tapered ultra-fine pointed tweezers is primarily used for microscopy. The style 5 has the finest points available. The tapered tips improve visibility under high magnification. The overall length is 4.25" (106mm). MW prefix denotes radius inside edges, which protect delicate wires. 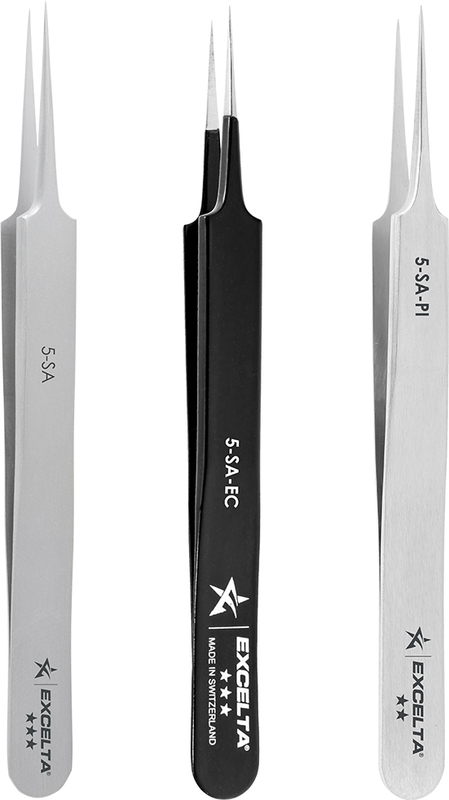 Tweezer -***- Straight Tapered Ultra Fine - 4.25"
Tweezer - **- Straight Tapered Ultra Fine - 4.25"